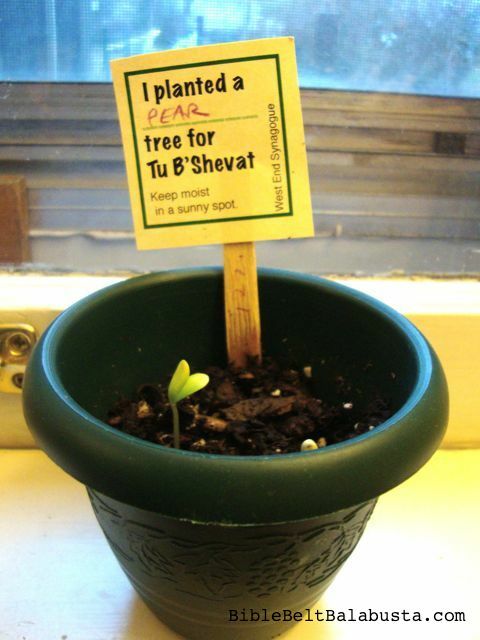 Find out why the go-to Tu B’Shevat planting activity is not about planting trees. 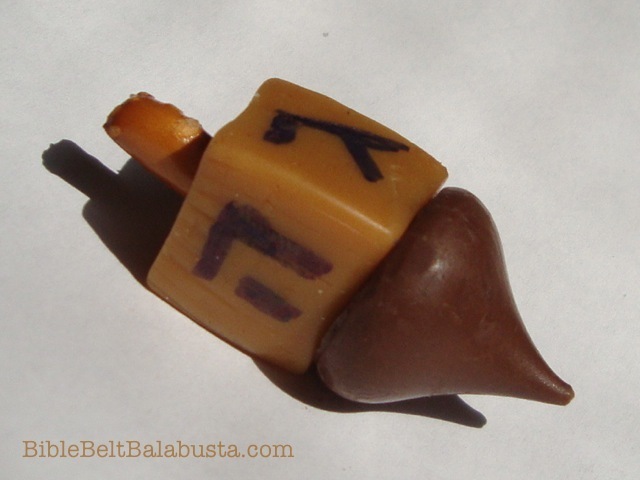 Candy Tu B’Shevat: so I can get yet more hate mail about how I contribute to childhood obesity. Look y’all, this is a fun activity meant to supplement all the nature-y, nutritionally sound activities you’ve already programmed, and which your children have enjoyed and internalized and are therefore now chock full o’ Tu B’Shevat goodness. This is what you do when little Max has his tree fruit, his Tu B’Shevat seder steps and his four Kabbalistic levels of creation as per types of fruit down cold. 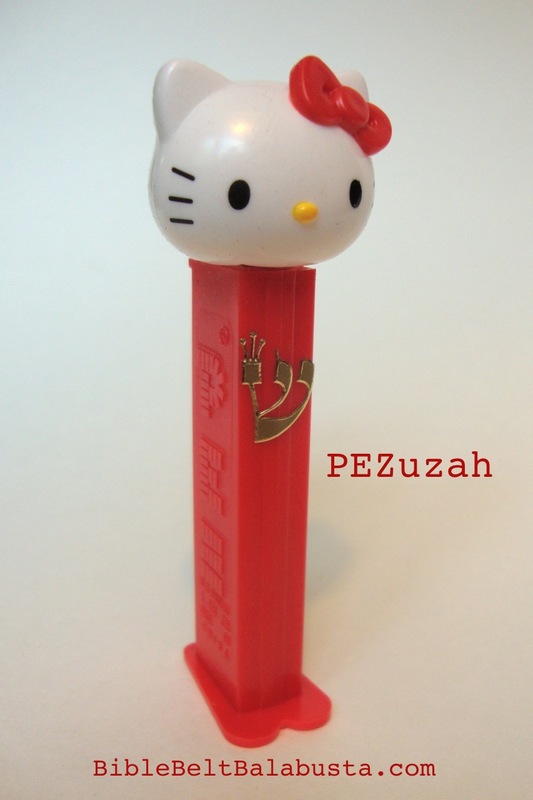 Try the candy version with older kids. Middle Schoolers and High Schoolers, if properly trained, need a break. Find a version of the article at Kveller, here. Edible Bowl of Tree Fruit: I go all-out thematic with the tree fruits. The project can be as simple or as elaborate as time and inclination allow. I throw in some botany and Rabbincs, too. Do forgive the lack of photography skills. 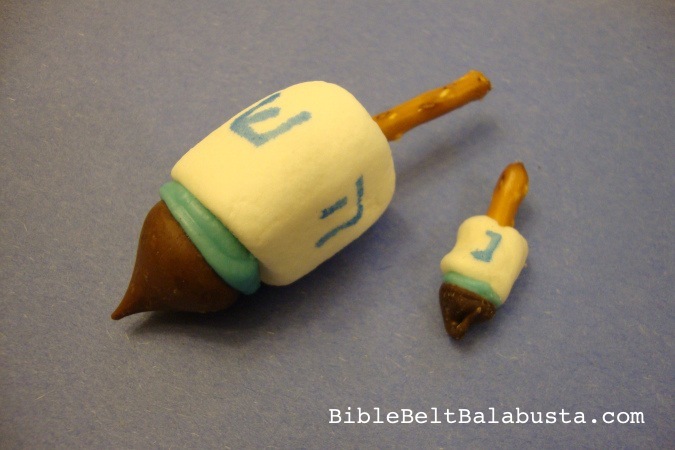 • Why We Give Gifts to the Bird on Tu B’Shevat: the Pinecone birdfeeder, yes, but with Rabbinics! Biology! Soy Butter! 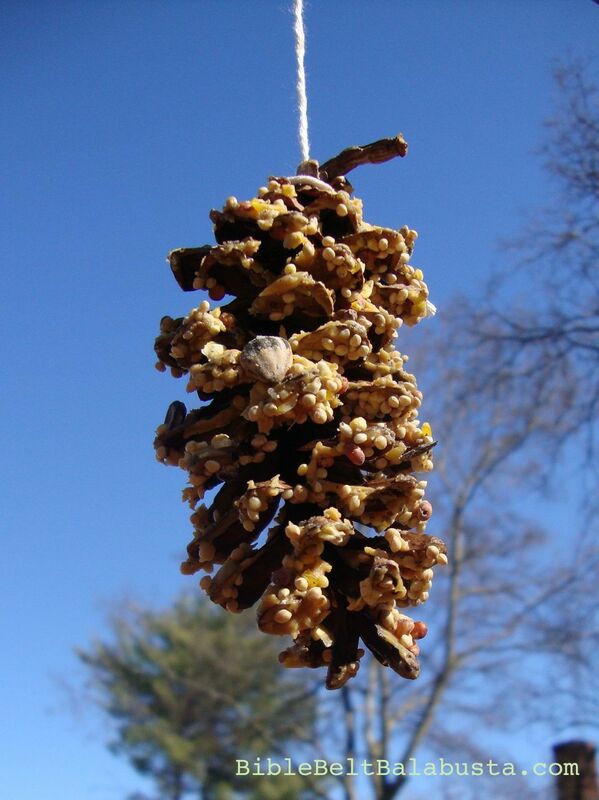 • Tu B’Shevat Birdfeeder Materials List (Annotations for the Over-Keen), in which I talk of cones and twine and allergies. 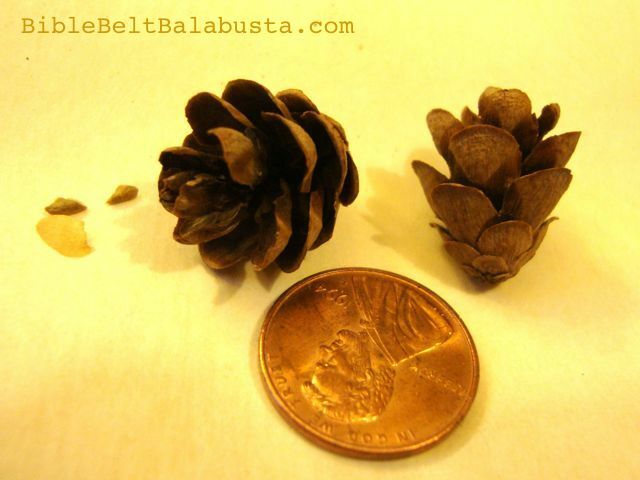 • Mini version of the pinecone birdfeeder for Playmobil or other dolls… If you have an Eastern Hemlock tree in your neighborhood, you’ve got perfect American Girl pine cones. Or G.I. Joe or Spiderman or Barbie or whatever. 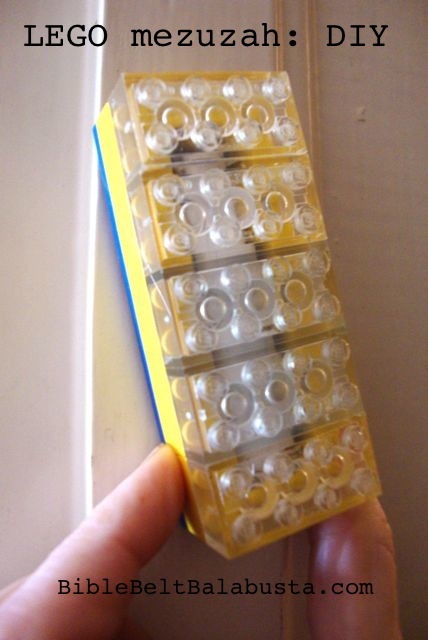 A bit big for LEGO minifigs, but if your kid doesn’t demand 100% fidelity to scale, go for it. This entry was posted in Activity, Crafts, Nature, Tu B'Shevat and tagged birds, fruit, gardening, seeds, trees. Bookmark the permalink. 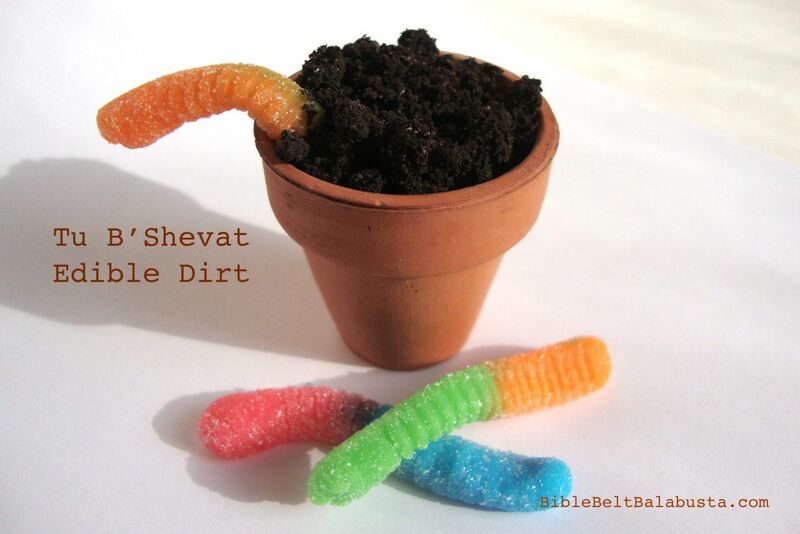 Such great Tu B’Shevat ideas! I’m originally from Louisville, KY so I know how important it is to be creative in how we embrace and celebrate our Jewish identity. Yes, connecting to Israel via a Tu B’Shevat planting project is uber-thematic…especially an almond tree, the poster tree for Tu B’Shevat. The Israeli wildflower project looks interesting, but I’d want to check the seed species against a list of local invasive plants to be absolutely sure I wasn’t unleashing something potentially destructive to native habitats. I think about kudzu and Japanese bush honeysuckle and privet…yikes. Each U.S. state has such a list online. I don’t see a list of wildflower packet seed species on the Israel Forever website. 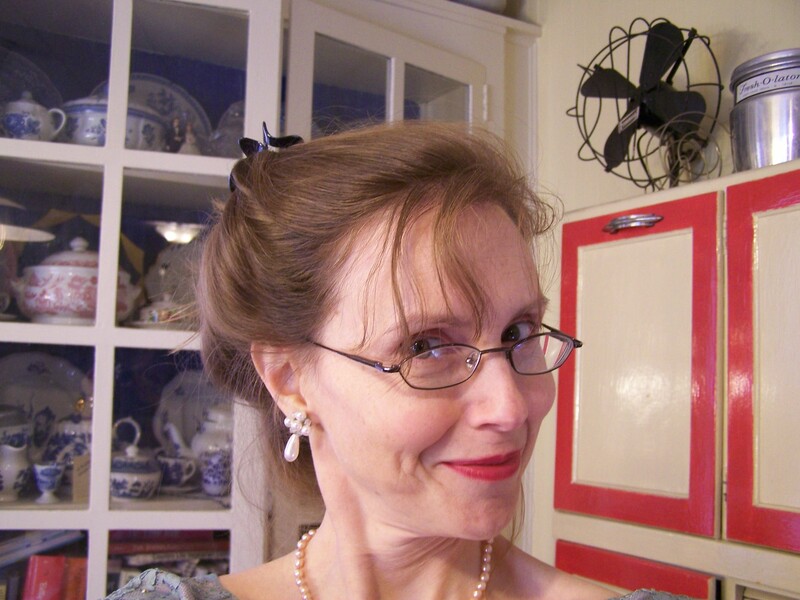 Hi Joanna – so glad you like the Plant Israel at Home initiative! As avid nature lovers, we also were concerned about selecting wildflowers that would not be invasive species or would harm the natural ecosystem in any way. The seeds we are selling are of the Larkspur family – in Hebrew called Dorbanit – that have been approved by US customs for import with no limitations. Our expert friends at the Society for the Protection of Nature in Israel have verified that this strain will indeed be a welcome addition there in US and do not put the natural strains in jeopardy even though our Israeli Larkspur is indeed, just like Israel, so very unique and that much more meaningful. 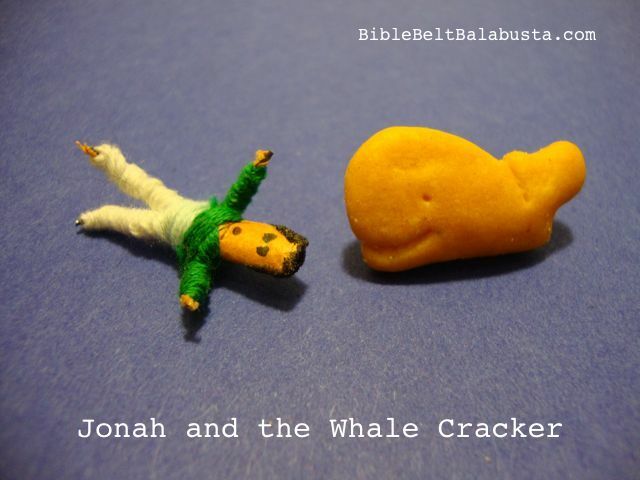 Kind of metaphoric of the Jewish People in a way….